While steadily tending to develop our Company and to enhance the quality of our machines, the SciTeeX Group has invested in the machine park by purchasing a new TruPunch 3000 (Trumpf Co.) punching machine. 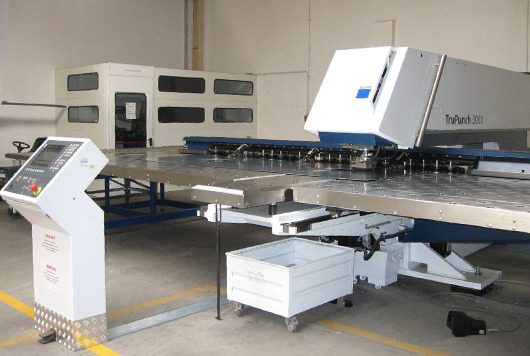 In conjunction with the bending press machines already in operation in our machine park, SciTeeX have built a modern punching machine park to punch elements, mainly from coated metal sheets 5000×1500 mm in size and maximum 6 mm in thickness. The new TruPunch 3000 not only enhances the quality of the SciTeeX-made machines (e.g.. enhanced precision workmanship), but also enables the production cycle time to be curtailed and thus the investment implementation time to be shortened.